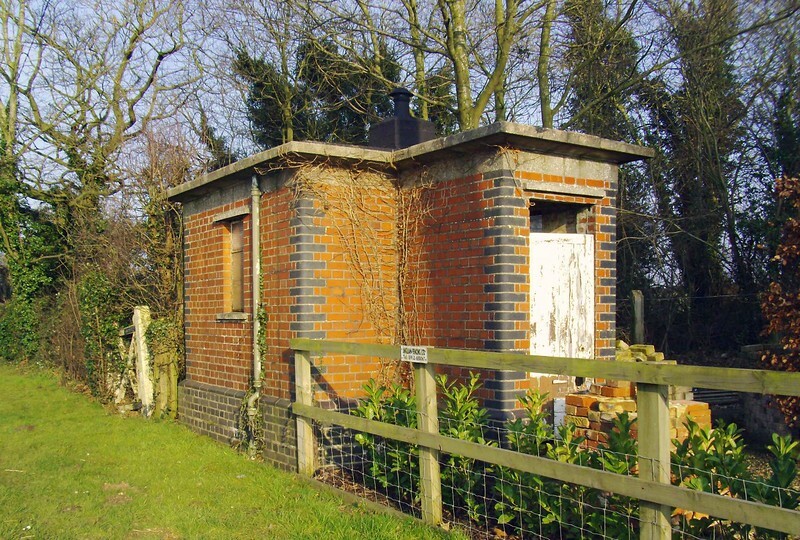 Brick built crossing hut at Griston Level Crossing between Stow Bedon and Watton. The track went to the rear of the building. Could be the original gate behind the building. NGR TL 937985. 13th March 2016.